Ashfield Architects. 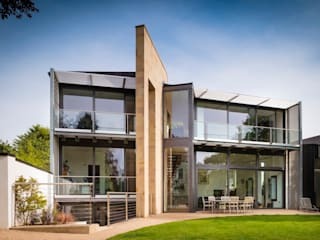 Prior to this partnership, Ric had been a Partner with Ashfield Architects since 1987 and Mark a Project Director with Sir Norman Foster and Partners in London. The partnership between Mark and Ric brought together not only a wealth of experience of practice at regional and international level, but also a shared passion for architecture with character and the effect that architecture can have on the people who come into contact with it. Originally based in York, the practice re-located to the market town of Malton, in the heart of Ryedale, in 2000. This move into a more rural setting has proved to be a positive one, not only allowing the practice to fully establish it's identity in the local area, but also giving greater opportunity for involvement with a wide range of schemes across the region as well as further afield. These opportunities have seen Bramhall Blenkharn working on diverse schemes from the delicate conservation areas of rural towns such as Helmsley and Pickering to working on larger inner city housing regeneration schemes in York, Leeds and Selby as well as projects as far afield as Newcastle and North Wales. national and international awards and we are proud to be one of the leading design practices in Yorkshire.